Before you think that this is another “Monday morning quarterback” review of the Oscars–meaning a critique of who won, lost, etc, I would just like to share my thoughts on the show itself. Overall, I feel that the show quality was very high and I liked the simplified but classy production design. Other than two REALLY long acceptance speeches, most speeches were heartfelt and appropriate (and only one overly political for no reason, for it had nothing to do with the movie she won for). The opening number was a lot of fun and utilized the talents of Neil Patrick Harris, Anna Kendrick, and Jack Black very well. The concept of building an opening number around the foundation of filmmaking (moving pictures) made for a splendid performance. And, other than the telecast running just shy of FOUR HOURS, the pace of the show was fluid and it appears to have kept the attention of the audience there and at home from beginning to end. The highlight of the evening was the performance of Lady Gaga in the tribute to The Sound of Music. This impact was made greater with the entrance of Dame Julie Andrews following the outstanding medley of song from such a beloved movie. I think what was most brilliant about Gaga’s performance was the sheer juxtaposition to her normal fair (other than the easy listening/lounge music show for which she partnered with Tony Bennett). Prior to the tribute to The Sound of Music, Jennifer Hudson killed it with her performance during the In Memoriam. As far as the performances for the songs nominated for Best Original Song, they were all executed very well and made for a delightful production. Probably most of you agree with me up to this point–but this is where I am going to lose some of you. I do not think Harris was a satisfactory host for this year’s award show. Other than the opening number and a few zings here and there, I felt his overall performance as host was less than appealing. Compared to the outstanding job of Ellen last year, he failed to meet the expectations of this critic. Ordinarily, Harris is a wonderful host, but he just wasn’t on his game last night. Now, I realize that many critics panned Ellen’s hosting last year, but she truly brought life into a show that continues to struggle to retain viewers. Many people chose to watch The Walking Dead instead of the 87-year-old show. Over all, the 87th annual Oscars put on a good show and the pantheon of presenters brought both laughter and tears to the audience. 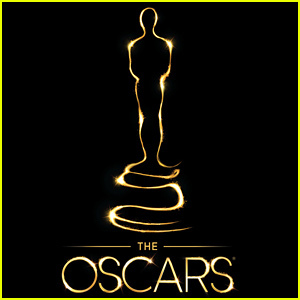 Other than the host not being up to par, I feel the producers of The Oscars need to do a better job at time management because a telecast of an award show–even the most important in film–need not exceed three hours. Honestly, it should strive to be around 2-2.5 hours (e.g. 8:30pm-11:00pm). But, here’s to another year of moving pictures for those who both work in and appreciate the art of cinema.